In 1987, the National Union of Mineworkers (NUM) lead a historic national strike. As part of this showdown with the mining industry, 40,000 mineworkers were dismissed. To assist them, NUM set up a job creation programme, starting with worker co-operatives before shifting to wider enterprise development strategies in communities affected by ongoing retrenchments in the industry. Drawing from her experience running this programme and thereafter Kate Philip who headed NUM’s job creation programme from 1988 to 2002 will explore lessons learned from trying to create jobs through enterprise development in marginal economic contexts, the limits and opportunities that such market participation offers, and what this means for development strategy: including brief reflections on the potential role of an employment guarantee. 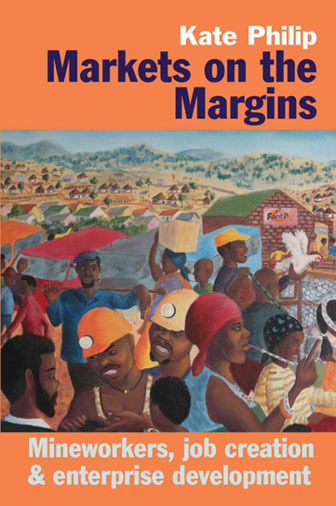 She will draw from her recently published book, Markets on the Margins: Mineworkers, Enterprise Development and Job Creation.